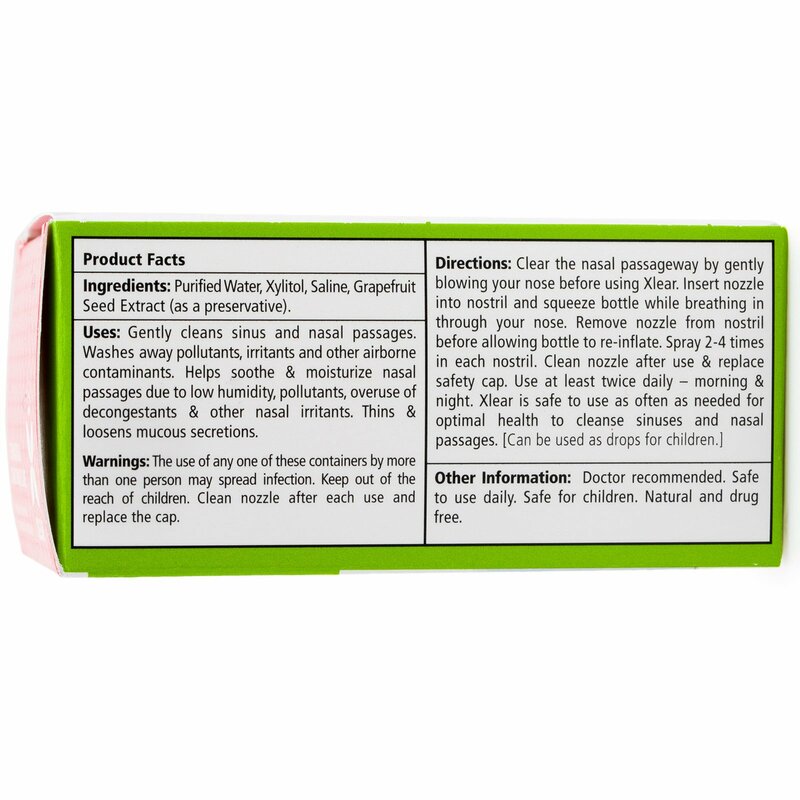 Uses: Gently cleans sinus and nasal passages. Washes away pollutants, irritants and other airborne contaminants. Helps soothe & moisturize nasal passages due to low humidity, pollutants, overuse of decongestants & other nasal irritants. Thins & loosens mucous secretions. 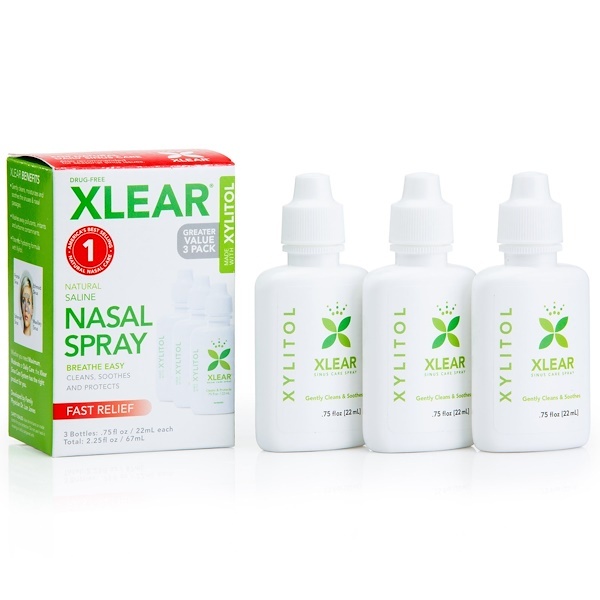 Doctors & Healthcare Professionals Worldwide Recommend Xlear Nasal Spray to Their Patients. Modern science has noted the value of saline sprays in promoting respiratory health, but simple saline sprays alone can be drying to the nasal passages. The addition of natural Xylitol helps to ensure that beyond just cleansing, Xlear Nasal Spray also moisturizes and protects delicate tissues. Xlear Nasal Spray is gentle enough for infants, but effective in adults as well. Washes away pollutants, irritants, and airborne contaminants. The use of any one of these containers by more than one person may spread infection. Keep out of the reach of children. Clean nozzle after each use and replace the cap. Other Information:Doctor recommended. Safe to use daily. Safe for children. Natural and drug free.